My own journey toward optimal health, wellness and vitality arrived by necessity. I had so many health challenges to overcome in my life! As a child I played hard, and enjoyed my life, yet I was always catching everything. German measles, red measles, mumps, whooping cough, allergies, tonsillitis, flu, colds, chronic ear infections, chronic yeast infections you name it, I had it! My mother did the best she could, and in those days mothers were taught to give their babies formula instead of mother’s milk. My immune system was compromised from the start. In my teens, things only got worse! My kneecap dislocated many times and required surgery. As a young woman I was faced with a huge challenge when I was diagnosed with bipolar disorder. That required years of medication and careful monitoring with regular blood tests. Next came an accident while on vacation in the West Indies, where I was run over from behind by a 650cc motorcycle. Even though I was flown back to Canada within four days, my leg had a multiple compound fracture with four infections in the marrow of the bone and the doctors didn’t think it could be saved. I remember the orthopaedic surgeon that operated on my dislocating kneecap, cried when he saw my badly mangled leg. Shortly after that came the diagnosis of hypothyroid and all the fatigue and weight gain that involved. I know my life story reads like the perils of Pauline! Yet my real story is one of triumph and success! Today I enjoy optimal health, vibrant energy, and a delightful lifestyle! Over 10 years ago, with my doctor’s supervision, I was informed I no longer needed any medication! No more Lithium! No more Synthroid! I dance, skip, walk and have full use of both legs! How did I manage to recover from these incurable conditions? Introducing raw foods into my diet and in particular three billion year old superfood. *****Hey June, you're story was so compelling I put the whole thing up on the Success Stories page here on the website. I have heard for my grandmother that nature has all the medicines and cures for the diseases that affect us. It is just that we are not making use of these resources and are going behind the synthetic ones. I don't think it's fair to advertise your book when readers are expecting to hear how the raw diet cured their ailments. Not sure I can believe your testimony now. Advertising scam may a bit harsh my friend. 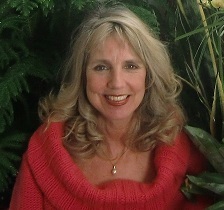 Allison left her testimony here on my site because she wants to share what the raw diet did for her. I'm sure selling a book is a way for her to both give and receive at the same time. the cycle of life is to give and receive. Let's not think the worst. I'm grateful for Allison sharing her story.